Although Chad has ratified the Convention on the Rights of the Child and the African Charter on the Rights and Welfare of the Child, implementing them has proven to be very problematic. The majority of Chad’s population does not respect the rights of children. 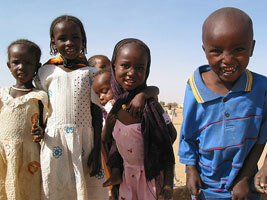 The growth of young children in Chad is therefore greatly affected. 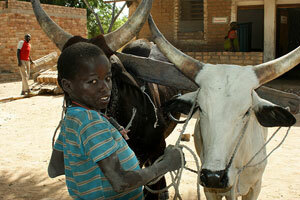 Chad, a crossing point between sub-Saharan Africa and North Africa, is one of the poorest countries in the world. Thus, poverty, which affects a vast majority of young Chadians, has serious repercussions on their access to a healthy diet, adequate financial resources, healthcare, etc. 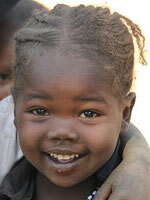 In Chad, the mortality rate of children under five is very worrisome. In fact, due to the lack of sanitation, drinking water and healthcare in rural areas, 209 children out of 1000 die every year. Likewise, malnutrition is also worrisome. Due to a poor diet, many children suffer from significant growth retardation. The population of Chad is so disparate that Children’s Rights to education are compromised. In addition, parents are often reluctant to send their children to school. Only a small percentage of children in Chad are schooled. Although education in Chad is mandatory, only some children, especially boys, carry on learning after primary school. Gender equality and equality between urban and rural areas is therefore still a problem in the country. 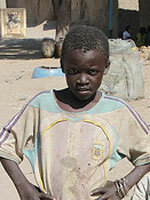 In cases of adoption and divorce, Chadian children generally have the legal right to express their opinions. However, they are not able to do this at home. In fact, within the family, children are not yet considered as subjects of law. Parents and legal guardians therefore often make decisions on their behalf. Some children are still subjected to violence within their family. However, this is allowed according to Chadian tradition. In addition, children are often abused at school, during detention, in the street, etc. Unfortunately violence is very common in Chad, and children are often the victims. The marriage of young girls is still a common practice in Chad, as the age of majority is set differently within various documents. From a legal point of view, civil majority is reached at 21 years and the legal age of marriage is set at 15 years for girls and 18 years for boys. However in customary law, the age of marriage is implicitly set at 13 years, which goes against the International Convention on the Rights of the Child. Child marriages have a negative impact on their health, development and rights. Girls who are married early are limited in their social interactions, as they drop out of school. They risk early pregnancy, which can be dangerous to both themselves and their child. The number of Chadian children that wander and live on the streets is constantly increasing and this is mainly due to the very unstable financial situation in Chad. Their rights to accommodation, health, education and nutrition are often violated. In addition, playing in the streets poses many risks: economic and sexual exploitation, health problems, malnutrition, etc. As they are uneducated, they have virtually no chance of finding a job and of permanently leaving the streets. In Chad, the minimum age for employment is 14 years. However, due to economic difficulties, many families are often forced to make their children work. As they are uneducated, they work in very harsh conditions – long hours, low pay, no food, etc. In addition, they incur the risks associated with prostitution, discrimination, abuse, etc. 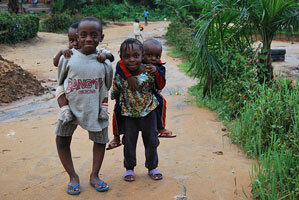 Armed groups and forces to the East of the country use children, especially boys. They are recruited as fighters or associated with Chadian or Sudanese opposition groups or the Chadian army. These children have been kidnapped or are used as revenge for the death of a loved one. Others even see the army as a way out of poverty. Although recruiting child soldiers is condemned by the International Convention on the Rights of the Child, Chad continues to use them in armed conflicts. Demobilising them and reinserting them into civil society is often very difficult, especially because of a lack of political commitment from the government, a lack of resources and continuing unrest. In Chad, the deprivation of liberty may begin early in the investigation. However, in the majority of cases, delinquent children are often entrusted to their parents. However, if parents are not present, young people are imprisoned with adults; there is a lack of adequate space in which to accommodate the minors. In Chad, the phenomenon of “herdsmen” persists: children from rural areas, generally tribal, are recruited to guard the herds of wealthy Arab herders. Child herdsmen incur many risks by working in this field: loss of identity, lack of schooling, disease, etc. Therefore, this practice is perceived by international and non-governmental organisations as a new form of slavery, which is strongly condemned.